"Yes, Sir! Anything you want, Sir! Whatever I can do, Sir!" "Maybe if I do the dishes faster, Mom won't drink so much this weekend." "I'll keep the little kids quieter, and then Dad won't get so mad." Many of us feel we have to do for others so they will like us, so the alcoholic won't hit us, so people won't get mad at us. As adult children, we get so good at doing for others that we end up believing we're only okay if we have their approval. Those others can be bosses, friends, coworkers, spouses, and children. In ACA, we start to see this pattern of approval-seeking. As a result, many of us find that we don't know what we want, or how to make a decision for ourselves. Some of us can't even name our favorite color, but we sure know the favorite colors of others! As we begin to discover ourselves, we learn to separate the idea of a simple act of kindness from that of sacrificing ourselves in a way that destroys our self-worth. We begin appreciating that we are okay and can affirm ourselves for who we are, not what we do. On this day I clearly see the difference between seeking false approval and doing a good deed because it's the right thing to do. 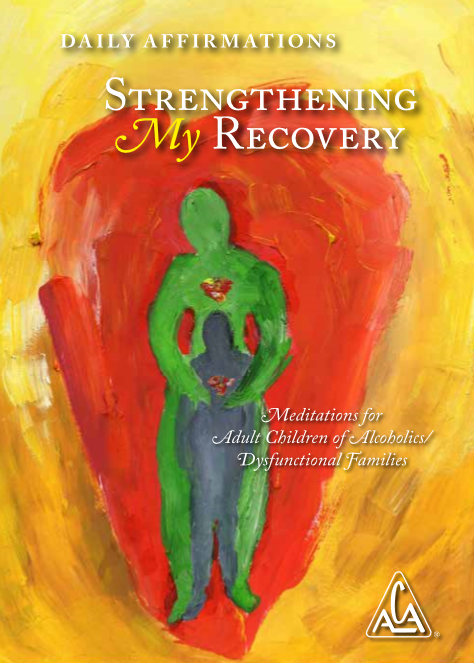 I am grateful for that realization as I live my recovery. Do you like the daily Meditation ? You can get the hard copy book, soft copy book, or e-book version.